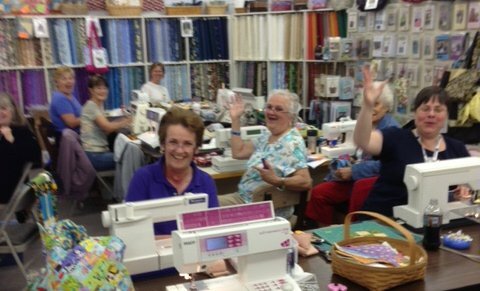 Join us for an evening fo fun, food, laughter, and sewing! These are great evenings to work on or finish projects, meet other sewers, and get some inspiration. We "lock" you in from 6 pm to midnight (website only has options to 10:00pm for times!). You bring your own sewing machine and projects with a munchie to share. We provide the pizza and door prizes!